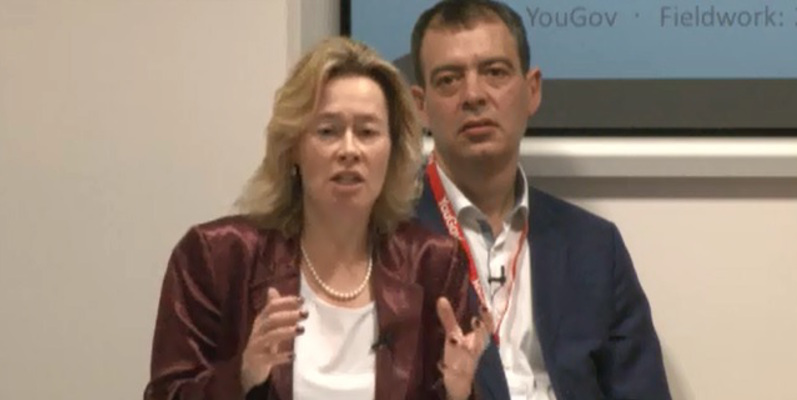 YouGov | YouGov-Cambridge Forum 2015: Panel on Britain’s EU membership – better in or out? 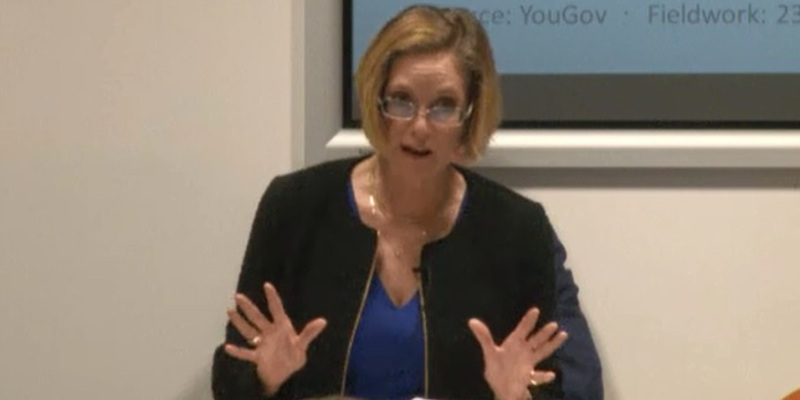 YouGov-Cambridge Forum 2015: Panel on Britain’s EU membership – better in or out? am Dezember 21, 2015, 12:49 p.m.
As part of this year's 'YouGov-Cambridge Forum 15' on 'Polling, Politics and the EU Referendum', Professor David Runciman (Head of the Cambridge POLIS Department) chaired a panel discussion on the underlying arguments of ‘In’ versus ‘Out’ for Britain’s relationship with the European Union. Speakers included: Simon Jenkins (journalist, author and broadcaster); Dr Julie Smith (Baroness Smith of Newnham/Director of the European Centre, POLIS); and Anne Lambert CMG (Inquiry Chair, Competition and Markets Authority/former UK Deputy Permanent Representative to the EU). What does it mean to ‘leave’? “For the ‘remain’ campaign the danger is that we are going to stand and tell you ‘three million jobs depend on Brussels’. That is actually a not terribly verifiable statistic, and also it does not lead to the hearts and minds arguments that we need. Can Britain have a relationship with the EU like that of Norway? “My theme is that if you ask people questions that mean nothing, like: ‘Do you want to leave Europe or stay in Europe?’ you will get a stupid answer. It is abundantly clear there is no such thing as independence from Europe. Britain cannot leave Europe. 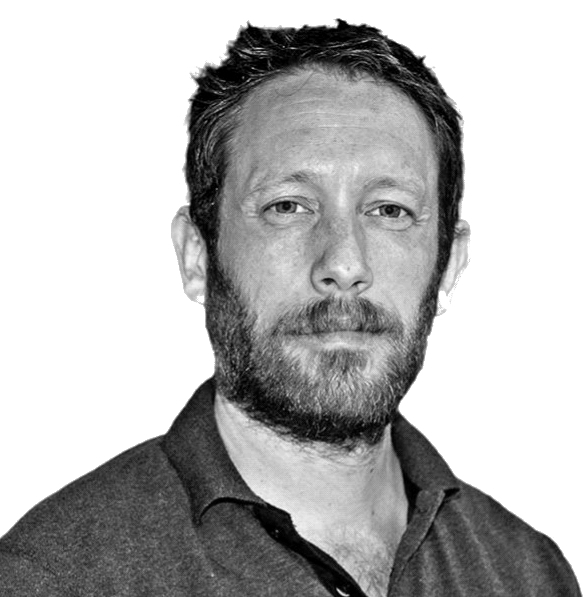 All it can do is to change its relationship with other European states and try to define what the identifiable relationships that would change under certain different circumstances between Britain and Europe are. It happened with the Euro and it wasn’t the end of the world”. “If ever there was an ‘ism’ that was on the run in Europe it is nationalism and often right-wing nationalism. I don’t like nationalism being regarded right-wing although it often is. It seems to be perfectly reasonable to have a craving for some sort of local roots against the forces of cosmopolitanism and globalisation which are pressing on all sides”. “The EU is a market of 500 million consumers. Nearly half of our trade in goods and services is with the EU, involves 200,000 businesses and was worth £226 billion in 2014. You need to put it into context: less than 10% of UK exports go to BRICs. Our exports to China are less than our exports to Ireland and about the same as our exports to Belgium. So, the single market is highly important to the UK. “At its simplest we benefit from the EU’s clout, which comes from its size and its 500 million consumers, in opening up markets. The benefits of this are recognised by those who advocate Brexit. So, they claim, we can negotiate our own agreements. We can try. But we shouldn’t be in any doubt that this won’t be easy.